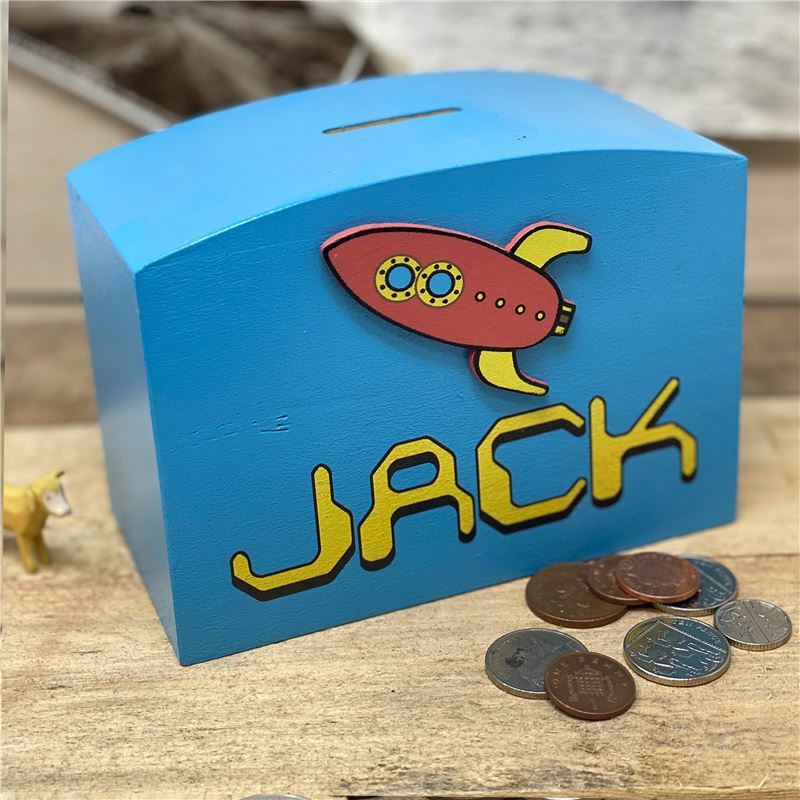 Up up and away , time to save with this great personalised money box . This jolly design was our favourite when we were designing and makes a great and unique gift. It has a sliding flap to get out your savings.